It is said that when one door closes, another opens. My teddy bear "door" opened as a result of a life-changing car accident. While taking counselling on living with chronic pain I was advised to try something that I would never have had time for if I were working. 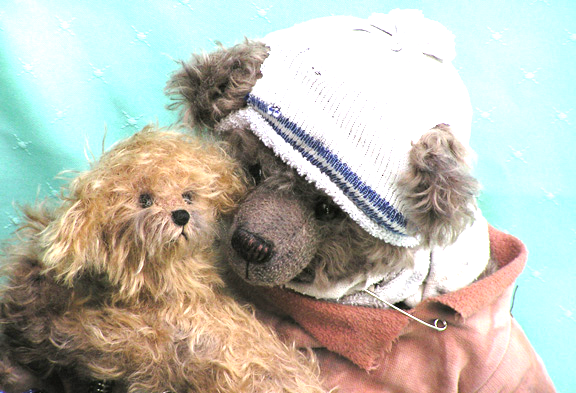 A teddy bear for my young granddaughter seemed like a good project. I foolishly decided​ to use stretchy material with the idea that I could give the bear plump little cheeks and rounded features. What I didn’t plan on was the fact that he would stretch everywhere.We named him Morph because he regularly changed shape. The only way to go was up. I began experimenting and designing, recycling old mohair and wool coats from thrift stores in order to keep my costs down. From there I progressed to working with vintage fur. Much to my surprise, people who saw the bears began to place orders. And Counterpane Collectables was born. Most of my work is now custom from clients’ own furs -perhaps mom’s or grandmother’s old fur stole or jacket. gratifying, playing a part in preserving precious memories. I cherish the friends I have made along the way. 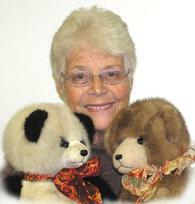 SOMEBODY’S MOTHERwas a finalist in an international teddy bear design competition.